Digg Reader has announced just now a new feature for the web: export your OPML files (just go to Settings > Export). This means you’ll be export your subscriptions and import them to another RSS reader of choice, if you need to. A couple new features also available, which launched three days ago, include View Only Unread and Mark As Unread (which can be access with the keyboard shortcut, m). 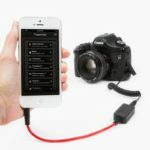 Digg says these two features will be available in the next version of its iPhone and iPad apps as well. 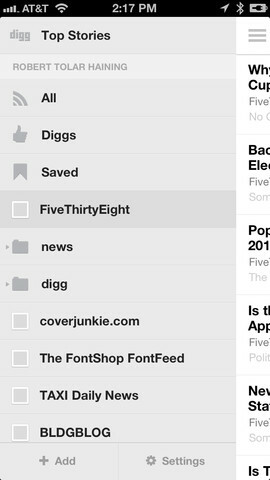 Digg Reader for iOS launched in late June, prior to the death of Google Reader. Click here to download the app–it’s free. What’s your iPhone RSS reader of choice right now? Update: For all you server and backend geeks out there, Fast Company reveals the tech stack that currently employs Digg Reader. Sounds pretty complex to me (and way over my head).